When God got you saved, He didn’t just have you in mind. He had your whole family in mind. That is why His Word says, “Believe on the Lord Jesus Christ, and you will be saved, you and your household.” Now, this does not mean that once you believe in Jesus, your family members are automatically saved. What it means is that you have opened a big door for God to move into your family’s life and to touch every member of your family! So don’t worry about your unsaved parents or grandparents. God knows how to reach out to them. A relative of mine spoke only Cantonese, and could not go to church because she was very old and her legs were weak. But Jesus appeared to her in a vision and spoke to her in perfect Cantonese! She had never encountered Jesus, but knew that it was Him and understood what He said to her. After that, those who visited and spoke with her were amazed by her knowledge of Jesus. 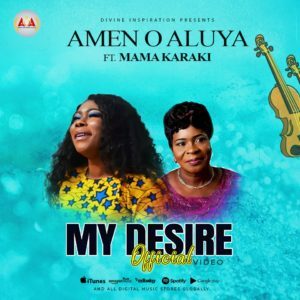 Gospel music minister, songwriter and gospel recording artist, Amen O Aluya releases the brand new video of her song titled 'My Desire' featuring Mama Karaki. Amen O Aluya is a worshipper anointed for the outpouring of God's worship who believes God has specially anointed her for this generation. 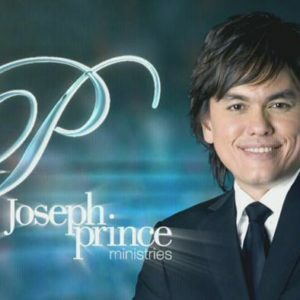 She has ministered in several platforms and concerts in the UK and Europe. With two albums and a video to her credit, she released her first album titled 'Ijesu Nogie' (Jesus the king) in 2014, and the second album 'Testimony' in 2016. 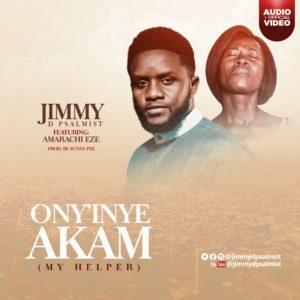 Amen progressively released 3 more singles in 2018; My Defender Features multiple award winner and urban contemporary gospel singer Samsong, and 'Who Am I'. Amen O Aluya hails from Edo State, Benin City. She is happily married and a proud mother of four lovely children.